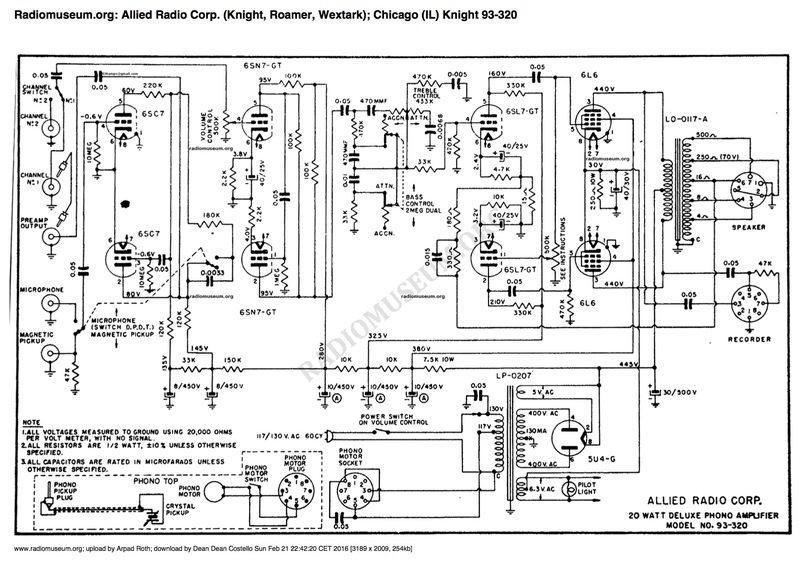 Knight radio made by Allied Radio Corp. in Chicago. 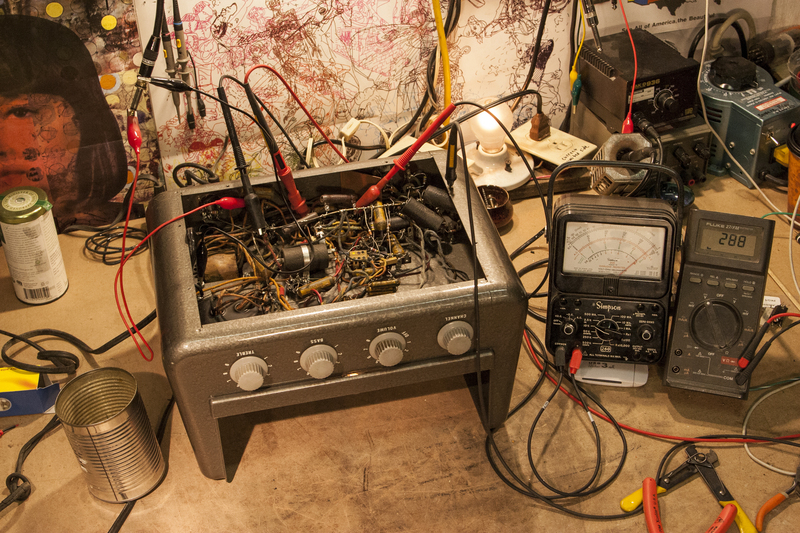 If you peruse the radiomuseum.org listing of Knight 93-320 it says it’s from “1948?” This one was bought at an estate sale with no power tubes and no rectifier tube. It uses a 5U4GB and two 6L6s in push-pull for the output. Who knows when is the last time it was turned on so I brought it up on the variac and the light bulb limiter to limit possible smoke and burning. It actually worked. Pretty noisey but had some volume. This would be a great fixer-upper, however I didn’t do this because the owner just wanted some tubes and confirmation it worked so he could sell it as a fixer-upper. 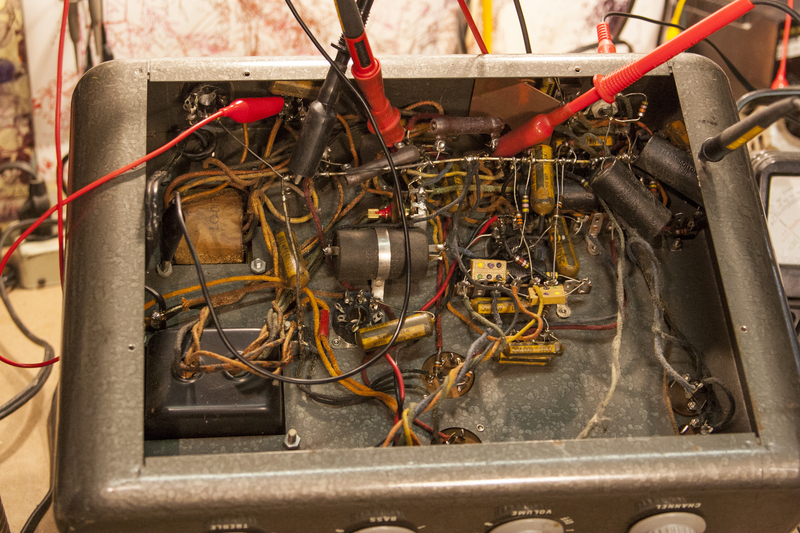 I adjusted the bias for the power tubes but that’s really it, other than cleaning the pots, jacks, and tube sockets. Oh and the AC cord was disintegrating so I replaced it. Cool image if you want to enjoy the rats nest. Awesome ground bus wire and old wax caps, and old domino caps. Wow, this thing is old. I wish I remembered to read the caps to see when it’s from, but I would guess it’s from sometime in the 1950s.